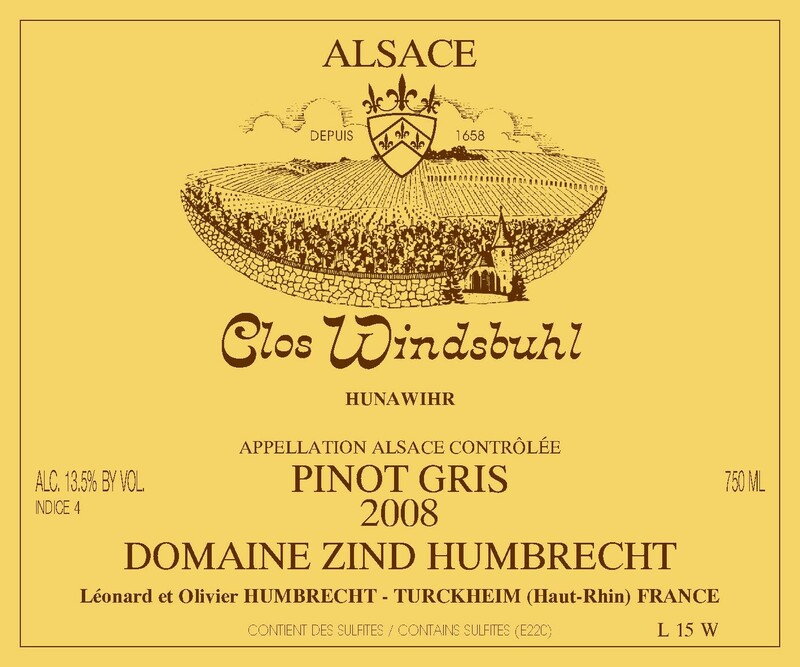 The Pinot Gris takes the biggest share of this 6ha Clos located in the heights of Hunawihr. The vines grow on a poor old calcareous soil that contains maritime deposits, sea shells… and lots of magnesium. The soil is quite thin, which helps drainage and compensate the altitude and the cooler location as it warms up quicker. It is the latest ripening vineyard we have, but it turns out to be a great advantage, as the grapes take longer to achieve full ripeness and therefore also pack up more of the soil character in the grapes. It is also in this vineyard that we were able to witness the effect of bio-dynamic cultivation as we were observing the progression of life in the soil as micro-organisms would go deeper every year and transform more and more organic material into stable humus, which is how a good soil should behave. (Of course herbicides and heavy machines would not allow this). Just like some other Pinot Gris in 2008, we selected the healthy grapes from the oldest vines in order to produce this wine. The younger vines are usually sold as part of the Calcaire bottling, but in 2008 they were incorporated in the varietal Pinot Gris. The fermentation was very slow, but the yeast could not transform all the sugars. 3/2010: this was the only Pinot Gris bottled in September 2009. It shows now elegant refined nutty aromas, almonds and a slight toast in a very pure expression. Despite the higher sweetness, the palate is very delicate and structured by a ripe acidity which leaves the finish very clean on the palate. Perhaps Indice 4 is overestimated and it will gradually go to an Indice 3 feel quickly. This wine will age very well.